Zillow owns the online home search space. Each month, nearly a quarter of all online house hunters visit Zillow, according to Inman, a real estate industry information provider. Zillow’s long-standing consumer focus, mobile device friendliness and massive social platform help make it one of the most-used Web-based real estate resources. However, Zillow has its share of critics, real estate agents most vocal among them. Is this just a matter of competitive insecurity? Or is Zillow unworthy of its powerful position in the home search space? 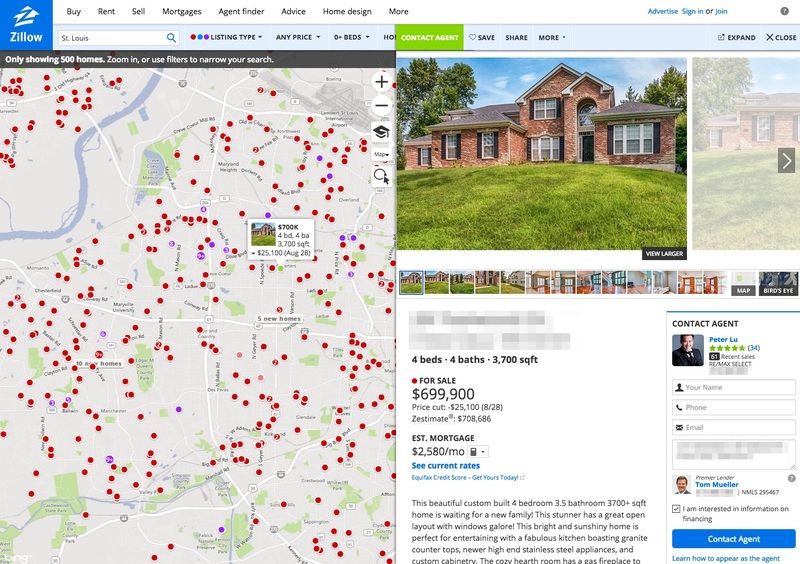 Let’s consider what Zillow does best, and where it can improve. Zestimates Home price estimates generated by a proprietary algorithm These values aren’t derived from a real appraisal. Even smart machines can make bad guesses. Neighborhood info Graphic maps and satellite overlays feature pinpoint pricing for every property in an area. With for-sale prices and Zestimates, a user can get a good sense of property values in a given area. Other sites do a better job of profiling neighborhood schools and incorporating local data, such as crime statistics. Alternative listings Lists homes for rent and for sale by owner, as well as foreclosures “Make Me Move” listings posted by homeowners can have unreasonably high asking prices. Finding an agent Agent reviews and profiles Real estate agents can place ads in targeted ZIP codes, even if they don’t have expertise in the neighborhood. First-rate mapping and search tools: When you’re taking your first crack at homeownership, you want all the help you can get. Zillow serves first-time homebuyers well, providing excellent neighborhood mapping and numerous search options, including filters for open houses, new construction and foreclosures. Notifications across devices: Saving a home you’re interested in triggers email updates on its price changes, as well as open house dates. You can also get notifications of new listings in your target neighborhoods. Searches and updates sync with all of your mobile and tablet devices. Robust resources: Zillow has a host of additional resources for homebuyers and homeowners. For example, its Home Design feature offers home improvement inspiration, including photos with embedded links to the sources for featured design products. Robo-home values: Zillow’s home value Zestimates are the perhaps the site’s most popular — and most hotly debated — feature. These price estimates are driven by proprietary algorithms and automatically generated for nearly 100 million homes in the nation. But are they accurate? Whether they’re a fairly accurate value assumption or a way-out-of-the-ballpark rough guess depends on whom you ask, but Zillow acknowledges a national error rate of 8%. That means half of the Zestimates are more accurate than the 8% error rate — and half are farther off. Accuracy is determined by the final sale price compared to Zillow’s estimated value prior to the sale. While Zestimates can give you an idea of a neighborhood’s going rate, you don’t want to rely too heavily on these online value estimates. Agent reviews: When shopping for a product or service, many consumers turn to online reviews. Real estate agent reviews can be especially helpful. On Zillow, buyers and sellers can offer their input on the service received from their agents, though negative reviews are rare. Most agents have five-star reviews or no reviews at all. Bad reviews may cause your agent to go missing: However, the bad reviews that do exist can be scathing, even though Zillow moderates the comments. Agents can respond to reviews, but those who choose not to allow reviews at all must remove their profiles from the site. Real estate agents pay for position: Agents can pay to have their profiles appear in a listing, even if they’re not the primary contact for the property. If an agent is the listing agent for a home, the site notes this in small print below his or her contact information. Remember, listing agents represent the seller. You may want to have a buyer’s agent on your side. 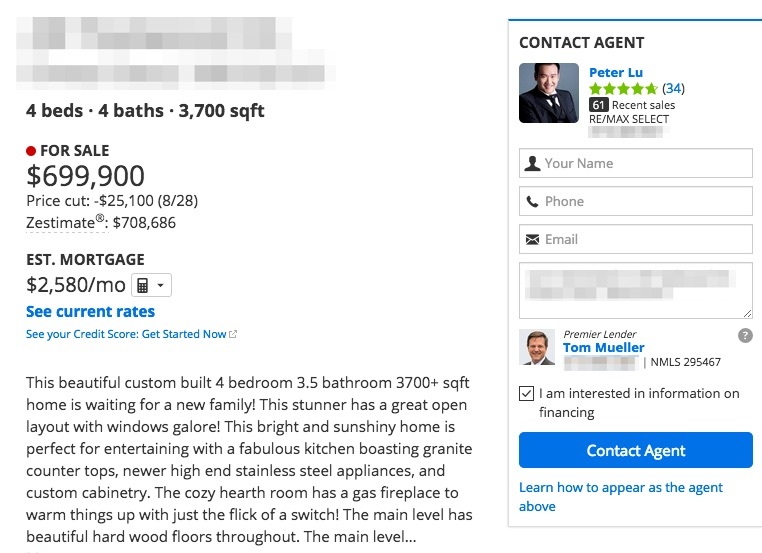 But Zillow is free: While some sites save in-depth information for premium subscribers, Zillow uses its page view prowess — it has some 60 million un ique visitors a month — to convince agents to pay for ad space and keep the whole site free for homebuyers and owners. And Zillow is growing: The company already claims that four out of five U.S. homes have been viewed on Zillow. And the Zillow Group has been snapping up additional online real estate, absorbing sites such as Trulia, StreetEasy and HotPads. Its influence in the space is likely to grow, a fact that’s not lost on the industry’s agents, many of whom have a begrudging love-hate relationship with the site. Broad acceptance can lead to even more listings, more agents and perhaps even greater pricing transparency. House hunters will find Zillow helpful in their search, especially if they consider the Zestimates as little more than an informative educated guess, and use other sites such as Realtor.com and RealtyTrac to fill in the gaps. Hal Bundrick is a staff writer at NerdWallet, a personal finance website. Email: hal@nerdwallet.com. Twitter: @halmbundrick.